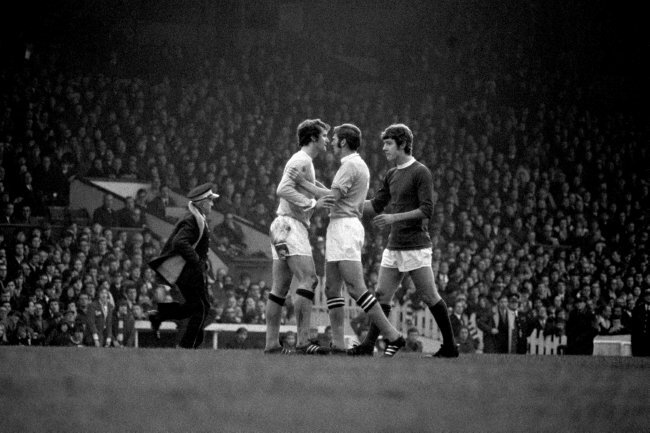 Today’s ‘Black-and-White Years’ marks the sad passing of a tough-tackling, utterly uncompromising, staunchly anti-United Man City icon, Mike Doyle – who died last night at the age of 64 after losing his battle against liver failure. 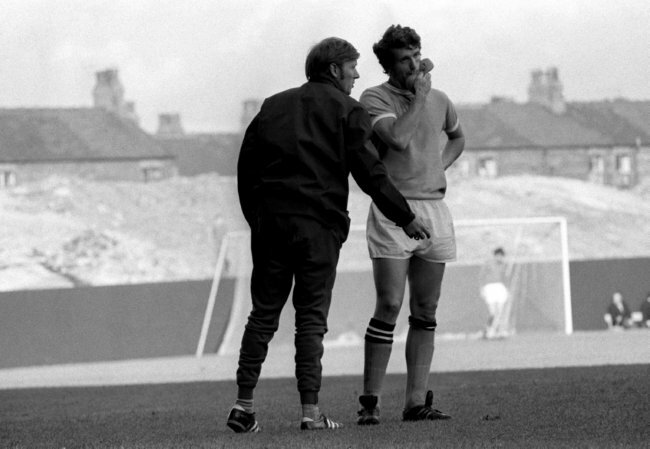 Doyle had fought alcoholism for many years and kicked the sauce for a year-and-a-half after attending Tony Adam’s Sporting Chance clinic in 2007, but continued to struggle with illness during his last few years. 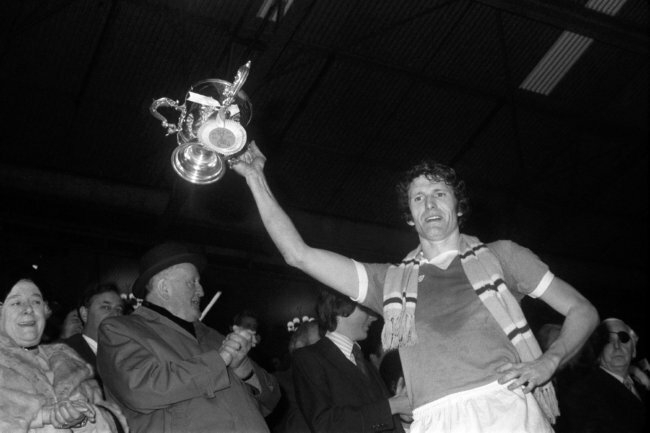 Doyle, a defender by trade, scored 32 goals in 448 games for City, winning the Division One title, the FA Cup, the European Cup winners’ Cup and the League Cup twice (scoring against West Brom to take the 1970 final to extra-time before Glyn Pardoe settled the tie, and then captaining the 1976 side to glory – beating Newcastle in the final) as part of the all-conquering Joe Mercer/Malcolm Allison City line-ups. 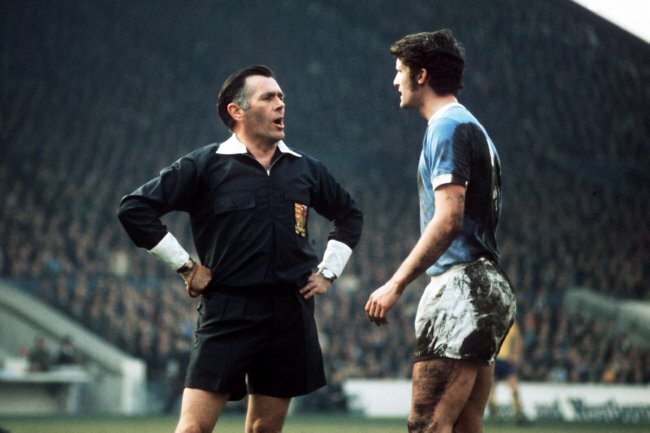 After accruing five England caps, Doyle left City in 1978 – going on to represent Stoke, Bolton and Rochdale before hanging up his boots in 1984 to work for Slazenger. 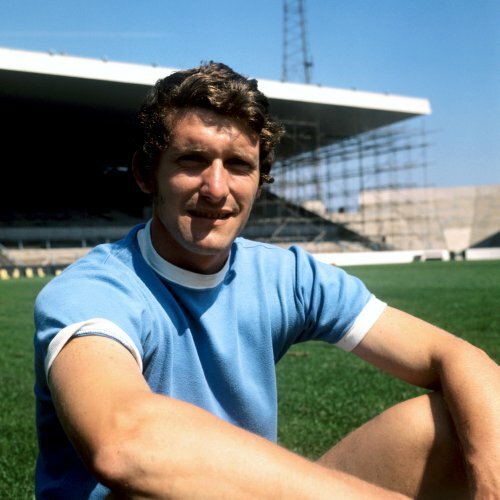 “There are only two teams in Manchester-City, and City’s reserves.” Mike Doyle, truly an embodiment of every Citizen the world over, each time he took the pitch, he epitimized the wish we each silently express, captured in the banner shown at Eastlands reading “We dream of playing in the shirt. Today, God chose you. 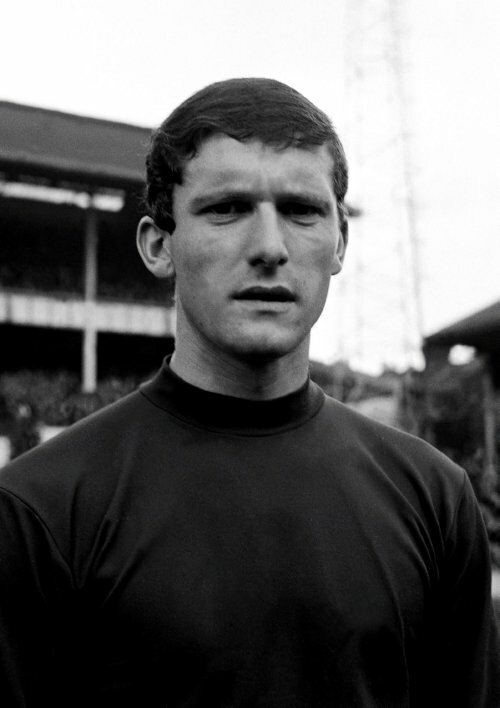 Play like we dream.” No one ever fulfilled this aching desire like Mike Doyle. His commitment is echoed in the efforts of contemporary City heroes such as Vincent Kompany, Micah Richards, Yaya Toure, Nigel De Jong and Carlos Tevez, but no one will ever match the passion you showed to Manchester City Football Club. I am glad you lived to see us win something again, at last, and I entreat that you rest in peace. look a bit like robbie keane no?